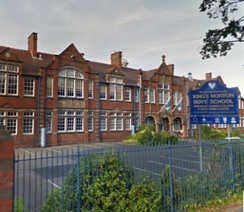 Northfield Ecocentre have provided an energy assessment to Kings Norton Boys School (KNBS) in South Birmingham. The visit allowed the assessor to consider how energy was being used and wasted on site. A range of inefficiencies were found and Northfield Ecocentre was able to offer tailored advice to reduce energy consumption from existing buildings and operations. The report prioritised actions to allow KNBS to gain from easy, zero cost changes first, then outlined potential investments and payback times for energy efficiency improvements. The assessment has allowed KNBS to consider energy efficiency when making future improvements to the building.